I finally feel secure enough to get back to writing about my new website. Whew! The homepage currently features model Tricia Akello. Isn’t she stunning? Click for more homepage images. And the whole website too! The photos were styled by the fabulous Shannon Stokes, whom we met through a 2016 Paper Magazine shoot. They were shot by Emmanuel Sanchez Monsalve, with hair by Gonn Kinoshita and makeup by Beau Derrick. Please see an important note about this image at the bottom of the post! Click for more Bella photos. 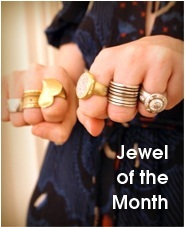 I was the only jewelry designer in this feature! Gorgeous customers: I do believe Shannon understands you! I have more fantastic images to share, and I’ll let you know when those roll out. Of course, I made a lot of changes to the website besides new photos. The big job was recategorizing every piece of jewelry into collections named for the dominant metals used: Wendy Brandes Gold, Wendy Brandes Platinum, and Wendy Brandes Silver. 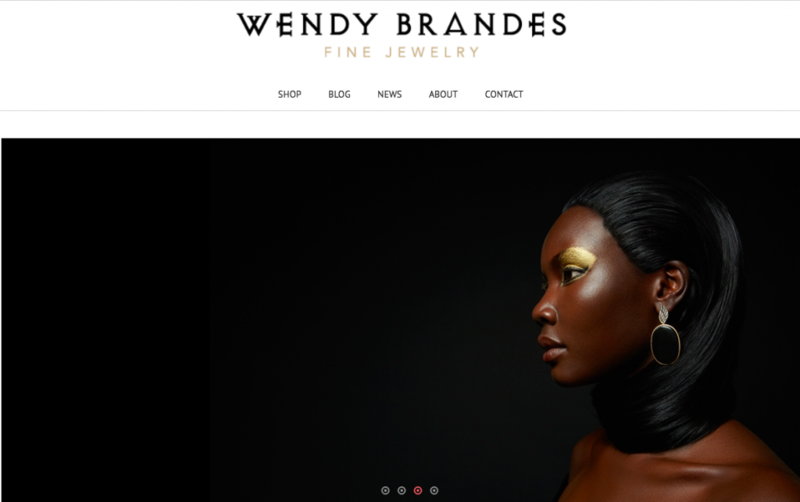 On the old website, all of the jewelry was jumbled together, making my design work look eclectic, to say the least. (There would be a silver middle finger earring for $35 next to a major gold ring priced at $35,000. Whiplash!) But, from the start, my designs have always been inspired by the qualities of the metals I work in, and over the years, I developed distinct but consistent visions for my work in gold, platinum, and silver. This week’s first YouTube video serves as an introduction to that concept. As you might guess from my rant about non-precious metals, I recorded this video when I was nearly unhinged with anger because of a company that had taken years of my design work only to produce the “collaborative” piece, without my input or even paying me for past work, in nickel. (Yeah, that blog post is still to come. I’ve been procrastinating.) 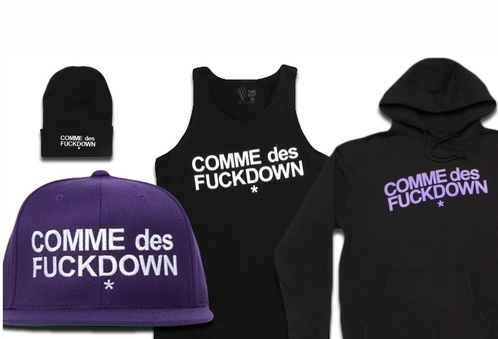 I need to get my right-hand woman/videographer Eryn one of the Comme des Garcons parody snapbacks (originally produced by SSUR) to pointedly put on if I should ever break into a furious digression during a future video. As seen in Paper Magazine. Anyway, I calmed down before I dug a little deeper into what gold means to me, and why it makes me think of history and particularly women’s history. By the way, I use recycled gold! I forgot to mention that in the video. I was probably too busy thinking of nickel, dammit. A slow-fashion aside: In both this video and the intro video, I’m wearing a top I got in the 1990s. I had to stuff myself into it, but where there’s a will, there’s sometimes a way. 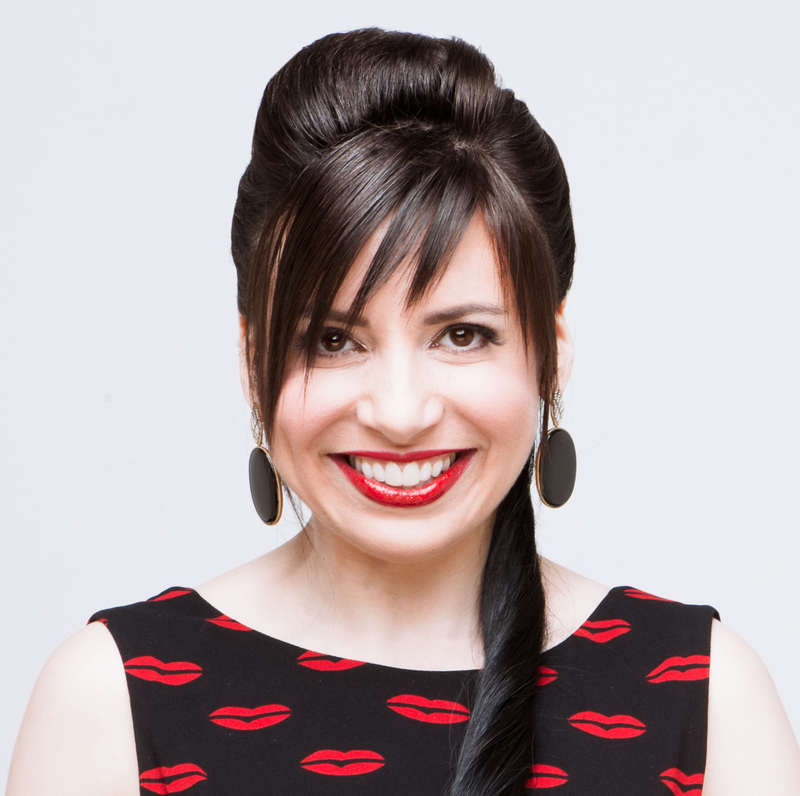 I’m also modeling my limited-edition Eleanor necklace in 18K yellow gold and onyx. 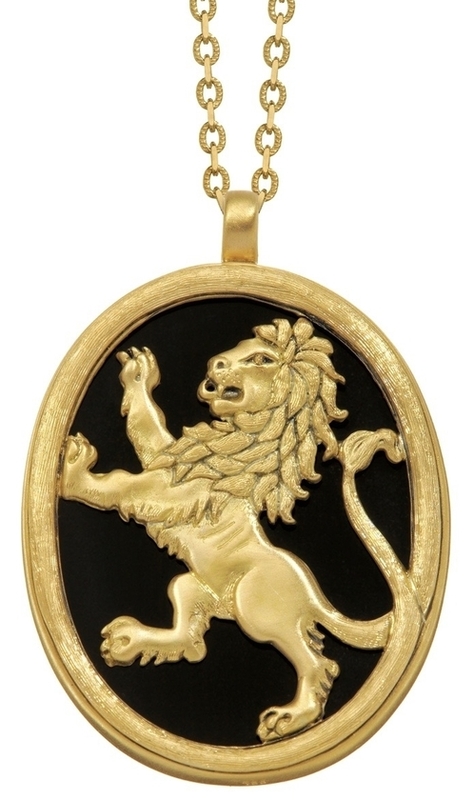 A great gift for the Leo in your life! 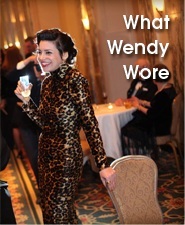 Don’t forget to subscribe to my YouTube channel so you don’t miss the videos on Wendy Brandes Platinum and Wendy Brandes Silver! 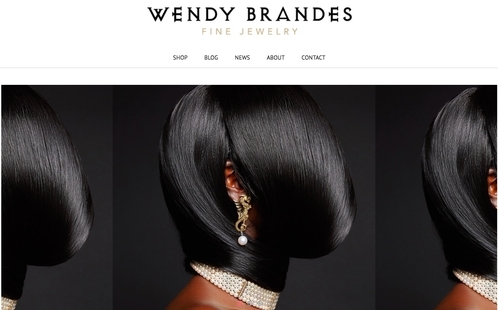 Also, if you see any glitches with website functionality, please feel free to let me know either in the comments or by emailing me at info at wendybrandes dot com. UPDATED APRIL 5, 2018, TO ADD AN IMPORTANT NOTE: I want to point out that the second image in this post, which shows gorgeous model Tricia with her face covered by her hair, was inspired by this iconic 1969 photograph that Bert Stern took for Cartier. Shannon’s goal was to create a moodier homage, while adding a dragon-depicting statement earring to the bare ear of yore.